Photocopies of a series of around 80 long and detailed typed letters (one handwritten) from artist Duncan MacGregor Whyte to his wife, Mary Barnard, and his son, Tearlach, during his travels, from boarding the steamship ‘Caledonia’ in Nov. 1911, across Canada in 1912-13, sailing to Australia via Hawaii in 1913, and around Australia in 1913-1919. In the letters, DMcGW describes his journeys, the people he meets and the paintings he produces. He frequently refers to the Gaelic language and Tiree, where he built The Studio at Balephuil. Information and photographs regarding the link between a painting by Mary Barnard, her husband Duncan MacGregor Whyte (see 2018.49.1), and the subsequent owners of the painting. 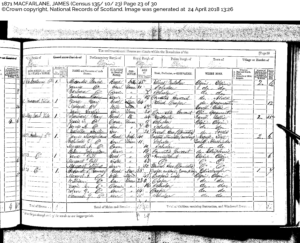 Duncan MacGregor Whyte (Mary Barnard’s husband) was friends with Alexander Lang MacArthur, Oban, whose son George was born within days of Tearlach MacGregor Whyte (see 2018.49.2). 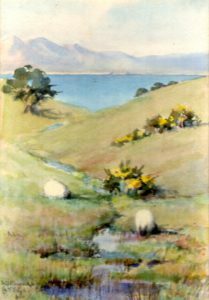 The painting was passed down the MacArthur line to Iain Alexander Currie MacArthur, Oban, and passed on to An Iodhlann after he died in 2017. Black and white photograph of Tearlach MacGregor Whyte taken on 9 July 1922, a month before his 18th birthday. 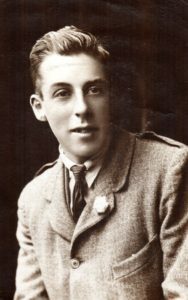 Tearlach was the son of artists Duncan MacGregor Whyte and Mary Barnard, who built The Studio at Balephuil. Framed watercolour/pastel painting by artist Mary Barnard, wife of Duncan MacGregor Whyte, who built The Studio at Balephuil in the early 1900s. 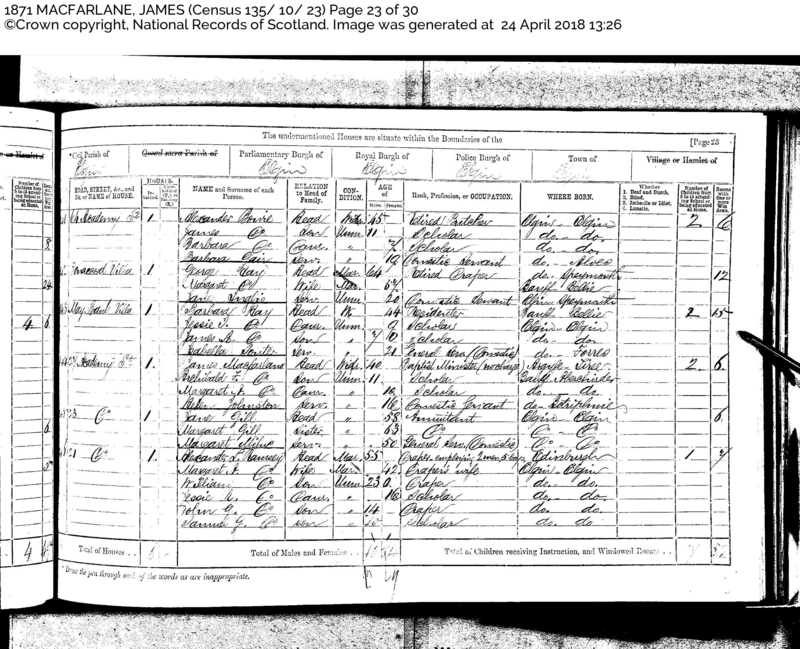 Signed MB Barnard (Mrs Whyte), and dated 2 April 1920. Handwritten on the back of the mount board is “The Morven Hills from Oban in April. £2.10.0 by Mary B Barnard, exhib. at RG, RSC, Pastel Soc London, AI Glasgow, Salon Paris.” Framed by J Bryce Smith Ltd, London. Three letters dated April/May 1899 from artist Duncan MacGregor Whyte, Glasgow, to the Duke of Argyll’s factor Hugh McDiarmid, requesting permission to build an artist’s studio (later known as The Studio) at Balephuil. From the archives at Inveraray Castle. Typed speech given by Brian Milne, Scarinish, at the opening of An Turas in 2003. Brian was the school’s art teacher, Chairman of Tiree Art Enterprises, and driving force behind the development of An Turas. 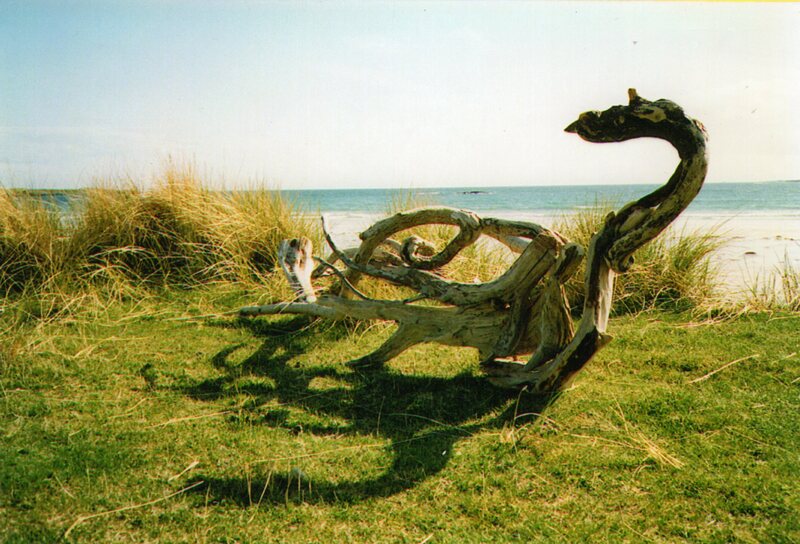 Colour photograph of driftwood sculpture ‘Each Uisge / Water Horse’ on Gott Bay in the 1990s, made by artist Kirsty Laird, Brock and Edinburgh.